Elijah has been sustained by the bread and water provided by the Angel of the Lord for 40 days and 40 nights. This is the same amount of time that Moses was on the same mountain without food while receiving the Law. Jesus said while being tempted by the devil in the wilderness for 40 days and nights, “Man does not live on bread alone, but by every Word that comes from the mouth of God.“ Matthew 4:4 Jesus always brings the "natural" into the "spiritual." It is the Word of God that feeds our spirit man and keeps us strengthened and in God’s will and ways. 40 is the number of trial and testing. Elijah is discouraged and lacking faith. He is also self-condemning. He feels he is no better than his descendants because he too has failed God. He finds the same rock that Moses hid in on Mount Sinai and too goes into hiding in it. The bread that the Angel provided was “baked over hot coals.” v6 In other words, it was refined by fire. Fire symbolizes the Holy Spirit. Spiritually this bread refined by fire is the Anointed Word. It is the Anointed Word who is Jesus that strengthens and nourishes us for our journey on earth. We must be hidden in the Rock Jesus. In Him, we find our rest. The Angel of the Lord appeared to Moses also “in a flame of fire from the midst of the bush.” Exodus 3:2 This Angel spoke God’s Word to Moses. Believers in the Word of God -- Jesus -- will become a burning bush ablaze with the love, truth and Spirit of the Living God. In the darkness of the cave, “the Word of the Lord came to him….” v9 Jesus revealed that He is the Word of the Lord in human flesh in John 1. He is and will forever be the voice of God -- the Eternal Word. The Word of the Lord asks Elijah, “What are you doing here?” Elijah is in the darkness of the cave (sin). He has fled God’s Land to go to a land that the Israelites wandered in for 40 years and didn’t reach God’s promise because of idolatry, unbelief, grumbling and complaining. The Word of the Lord questions Elijah. Throughout scripture God and Jesus would often question their people to give them the opportunity to confess, state what mental condition they were in or state their case. The Word of the Lord asked Elijah this question twice--in the beginning and at the end of their conversation at the rock cave. Elijah states his case. “I have been very zealous for the Lord God Almighty. The Israelites have rejected your covenant, broken down your altars, and put your prophets to death with the sword. I am the only one left, and now they are trying to kill me too.” 1 Kings 19:10 Elijah is honest with the Lord. Although his assessment that he is the only one left is wrong. God has kept a faithful remnant in hiding that He will bring to the forefront at His appointed time to do what He requires them to do. Elijah answered the same way when the Word of the Lord asked him the same question again at the end of their conversation. Elijah feels defeated and alone. The Word of the Lord doesn’t agree or disagree with Elijah’s assessment. Elijah's words don't change. Rather than correct Elijah's assessment, the Lord gives Elijah instruction, “Go forth (come out of the darkness of the cave) and stand on the mountain in the presence of the Lord, for the Lord is about to pass by.” v11 This same thing happened to Moses when the backside of God’s glory passed by. However, God told Moses to go into the cleft of a rock. Elijah on the other hand was hiding in the rock on his own initiative. God covered Moses with His hand. In other words, Moses was in the palm of God’s hand. God had to cover Moses with His Hand because His glory is so brilliant and powerful that Moses’ natural eyes could not look at it without being blinded and dying. No one could see the face of God and the fullness of God’s glory until Jesus came to earth. (2 Corinthians 4:6) He is the fullness of the Godhead bodily. Moses could only get a glimpse of the backside of God’s glory, not the fullness. Moses saw in part, just as the Law reveals Jesus in part. Some of the Older Testament saints got glimpses of God's glory as it passed by. In other words, it didn't dwell with them. The fullness of God's Light and glory dwelt in Jesus because He had no sin and He was God in the flesh. When we receive Jesus, His light and glory will also dwell in us because we are in Him. God's glory doesn't pass by but remains in us and is reflected from us when we walk in God's ways to the glory of His Name. As God hid Moses in a cleft of a rock so he could withstand seeing the backside of His glory, He hid the fullness of His glory in the flesh body of the Rock Jesus. God hid His Divine glory in Jesus reducing its brilliance and light so we could see God in the face of Jesus. Jesus brought His Divine glory within without on the Mount of Transfiguration. (Matthew 17:1-17) Moses and Elijah stood with Jesus on the Mount of Transfiguration and faded out of the scene leaving just Jesus indicating that their ministries pointed to Jesus and were fulfilled by Him. With Moses who was in obedience, the Lord said, “all my goodness will pass in front of you, and I will proclaim My Name, the Lord, in your presence.” Exodus 33:19 God’s glory is in His goodness. With Elijah, the Lord passed by in a mighty wind, an earthquake and fire but Elijah was hidden in a rock even though Elijah was in sin. With Moses, God's glory passed by, but with Elijah, God's wind, earthquake and fire of judgment passed by but it didn't touch God's prophet Elijah. Outside the cave, the wind of judgment was blowing but God’s prophet Elijah was protected in the rock cave. The Bible says that God wasn’t in the wind, earthquake and fire for His prophet. Elijah belonged to God even though he was fearful and in hiding. So, God wouldn’t speak to His prophet in the wind, earthquake and fire of judgment. us as the earthquake did for Peter when he was imprisoned. After the fire came a still small voice. Some translations say a “gentle whisper.” The Hebrew word for whisper is demamah which means silence, stillness or calm. In the stillness and silence of Elijah‘s soul and spirit, God spoke to Elijah and he heard Him. The voice of God penetrated Elijah’s innermost being. Jesus said, “My sheep hear My voice….” John 10:1-16 We don’t know what the Lord said to Elijah in the stillness because it is not recorded in the Bible. Whatever was said and Elijah heard moved Elijah to get out of the cave of darkness and move forward. “When Elijah heard it, he pulled his mantle over his face and went out and stood at the mouth of the cave.“ v13 God spoke to Elijah Spirit to spirit. (see 1 Corinthians 2:10-16) In order for God to do this, all other sounds must be drowned out so he can hear God’s silent voice. In silence the Holy Spirit speaks to our spirit. Elijah put his prophetic mantle over his face and stood at the mouth of the cave. Elijah would use his mouth once again as an anointed prophet of God who speaks God’s Word. He covered his face of flesh with his prophetic mantle--the Anointed Word of God. The power of God was in his mantle, not in his flesh. 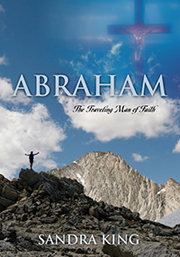 God has removed Elijah’s fear, discouragement and feelings of being defeated and a failure. God still has work for Elijah to do. The Israelites saw God manifested in the wind, thunder, lightning and earthquake when He appeared on Mount Sinai in Exodus This brought fear to the people at that time because they were afar off. They didn’t go up on the mountain closer to God as Moses did. They wanted Moses to draw close to God and tell them what God said instead of drawing close to Him themselves. Elijah’s life and ministry mirror the period of the tribulation when God is judging the earth. The end was in the beginning in the Word of God. Wind, earthquakes and fire will also take place during the time of the tribulation in the last days. This wind, earthquakes and fire will be the fire of judgment. Judgment and destruction will come to those outside of God’s kingdom not to those who belong to Jesus. God told Elijah that He had reserved 7,000 men who had not bowed the knee to Baal but bowed the knee to God. This faithful remnant will fight the good fight against the enemies of God’s people. During the tribulation period, God will have a faithful remnant who will not bow the knee to the Antichrist and his false religious system. In Revelation 11:13, we see the number 7,000 again only this time they are slain after the resurrection of the two witnesses because they didn’t believe in the True God. These are God's last two witnesses He will send to bring the nations to repentance and to His Son. Only a faithful remnant believed in Jesus' resurrection, so no doubt the resurrection of these two witnesses will only reach a small percentage of those living on earth. The New Testament is the reverse of the Older Testament. The number 7,000 represents a full company of people. It also represents the fullness of completion and perfection. Another example of the reversal of the Old and the New is the 3,000 who were slain in Exodus 32:28 for worshiping the golden calf (idolatry). In the New Testament, 3,000 were saved, born again and empowered by the Holy Spirit through the faithful remnant. The wind, earthquake and fire on Mount Sinai was outside, but Elijah was hidden inside in a “rock” cave. Those who love and follow Jesus are hidden in Him -- God's Rock who is the Foundation of His House. God, like Jesus, protects and deals gently with those who love and serve Him. The Body of Christ should follow His example.